Every food box of Greek diet "Rizes", consists of basic Greek products with a long shelf-life; products which are integral part of the Greek cuisine. In our website you can find recipes based on the products that every box includes so as to introduce yourself to the magic of Greek tastes. 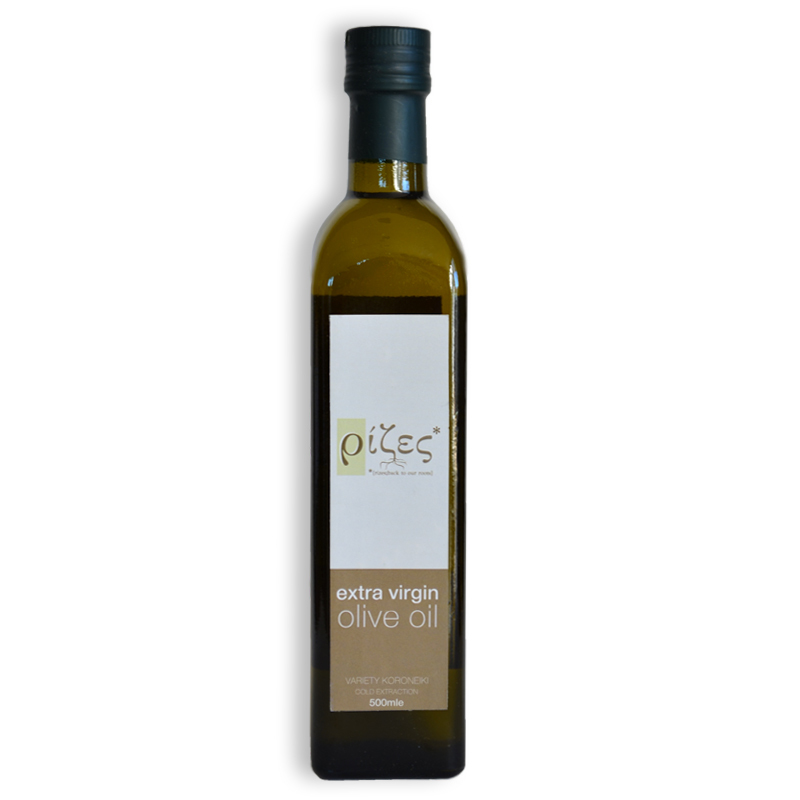 Greek extra virgin olive oil with qualitative characteristics originates from olives 100% of variety koroneiki, which are collected in the wider region of Koroni, south of Kalamata by hand. The product that comes out is a result of cold oil extraction. Thus, the perfect perfume, the delicate taste and the unique colour of the extra virgin oil are maintained, being in the same time in the lowest levels of the graded scale of acidity (K232, K270 etc) as well as being rich in organoleptic ingredients. In addition, it has a dark, bright green colour and a fruity, sweet and bitter taste, a hint of a soft feel of different fruits, a product of high nutritional value which could fall into a premium category. 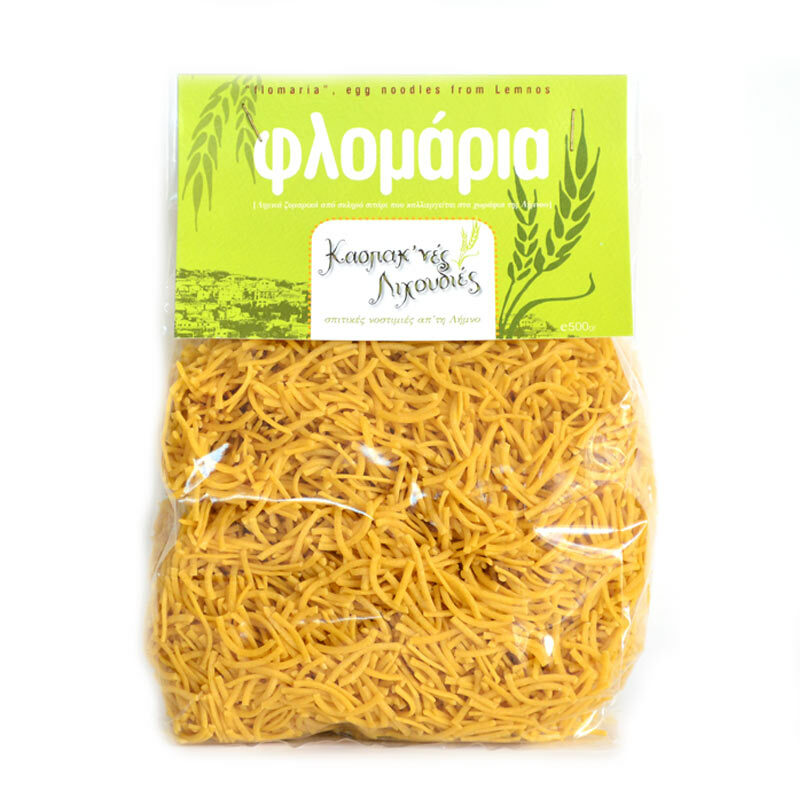 Flomaria are local pasta from Limnos. They are made in a traditional workshop in the region of Kaspakas in Limnos. They contain flour of selected hard wheat collected in the island, local eggs and milk. Delicate and exceptionally delicious, they are particularly different from the industralised pasta. A soup or a starter with a vegetable ragout, made with Flomaria pasta, would be an ideal choice. However, you can serve it with red sauce meat or with the sauce of your choice. In ancient Greek mythology, nectar and ambrosia, the food and drink of gods, were thought to be a kind of honey. Its value was so great, that it was one of the gifts that Olympian gods were exchanging among them and the mortals often offered to them to slip away from punishments. Thyme honey has intense perfume, colour and taste. It is ranked as one of the best honey varieties. Thyme honey has beneficial nutritional properties and it is very rich in micronutrients. It has stimulating and antiseptic properties. 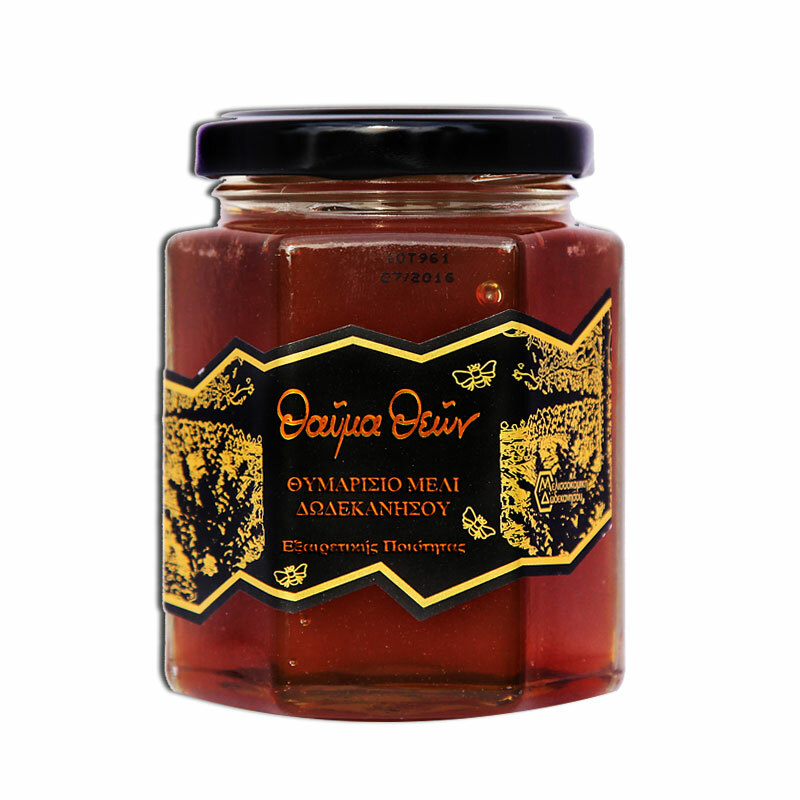 Greek honey is thought as one of the best in the world as it is aromatic and thick. A teaspoonful contains only 21 calories and it has 30% more sweetening power than a teaspoonful of sugar. 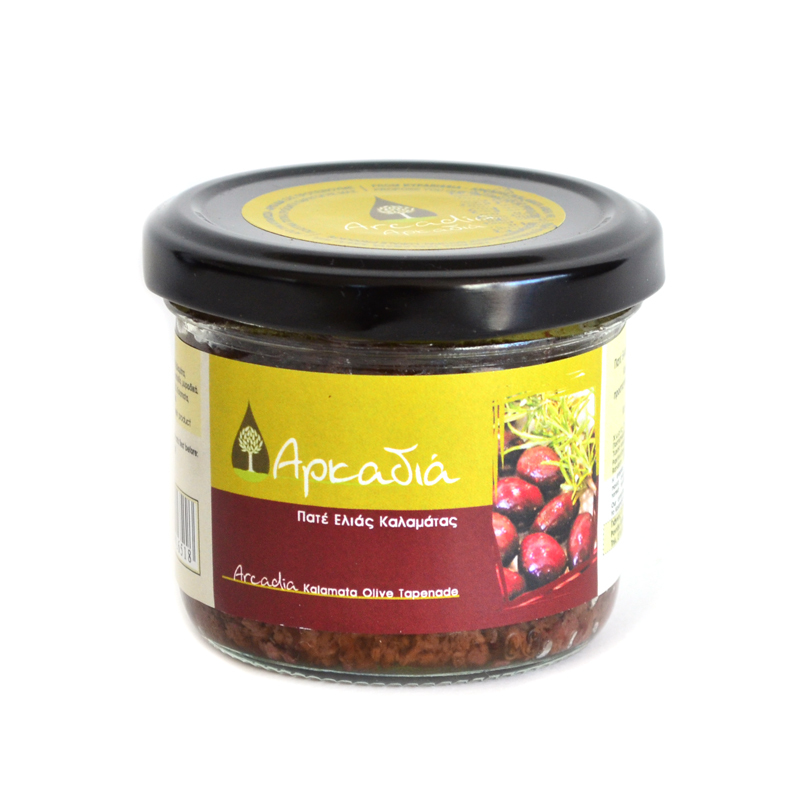 Mixed Kalamata olive tapenade is made from Kalamata Olives (PDO) using a traditional recipe. It is a tasty starter made from olive paste mixed with herbs. It is a great combination with bread as well as with salads. Alternatively, you can use it as an ingredient in dressings and pasta sauces. 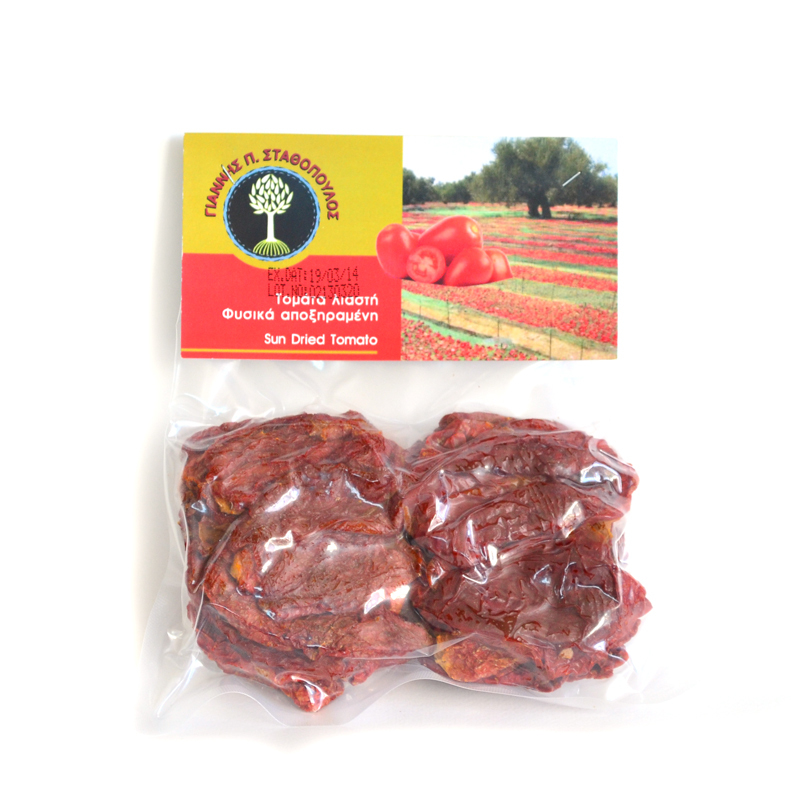 Sun-dried tomatoes consist of ripe tomatoes that dry and loose their water content in a traditional procedure by being placed under the sun. Sun-dried tomatoes have the same nutritional value as the fresh tomatoes, that is to say they are rich in antioxidants and vitamin C.
Last years, sun-dried tomatoes have been a trend, not only because of their taste but also because they are very rich in lycopene. 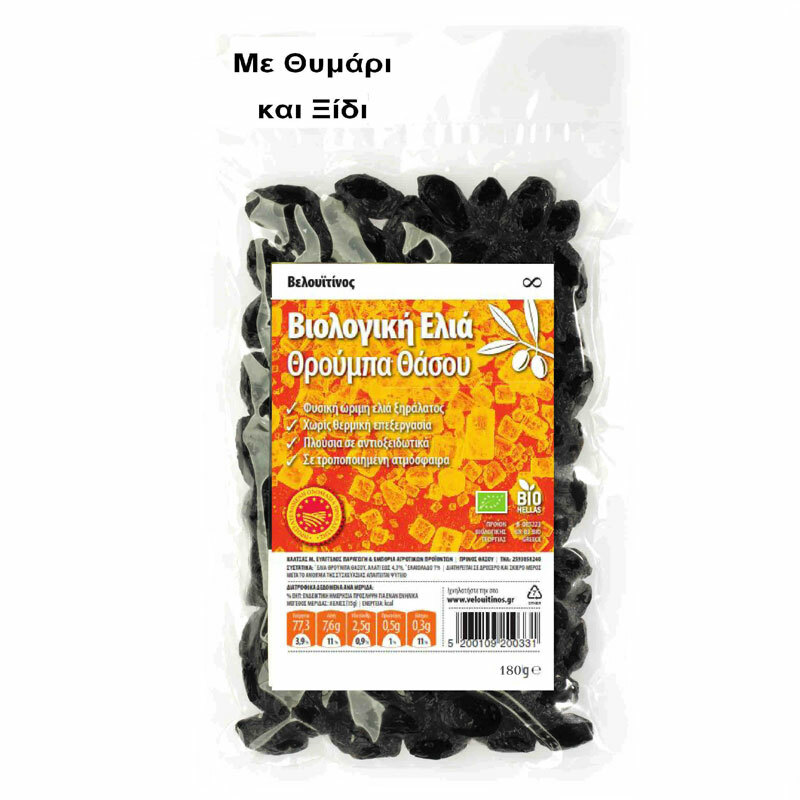 For that reason, they are thought to be one of the healthiest products of Mediterranean diet. You can find a wide range of sun-dried tomatoes (colour, size, taste) in the market. Traditionally they are served with: olive oil, rosemary, basil and garlic. Rosemary is a native Mediterranean herb, known from the ancient years in Greece where it was used both in medicine and in cooking. It is thought to be a gift given to the humans by Venus. In addition, it was used as temple incense during sacrifices. Nowadays, rosemary is a basic herb of the Mediterranean cuisine. It gives a great perfume to bread, beef, lamp, fish, seafood, omelettes, soups, sauces and vegetables. It is recommended to add it when you start cooking. 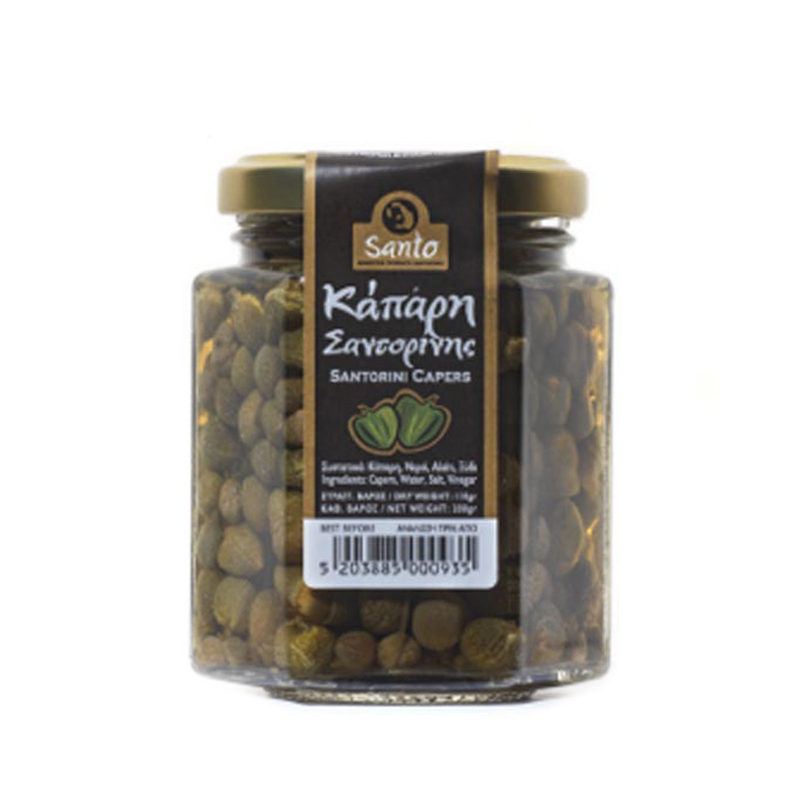 Santorini Fava, is a Potected Designation of Origin product that comes from the plant "Lathyrus Clymenum L." and it grows exclusively in Santorini for more than 3,500 years. 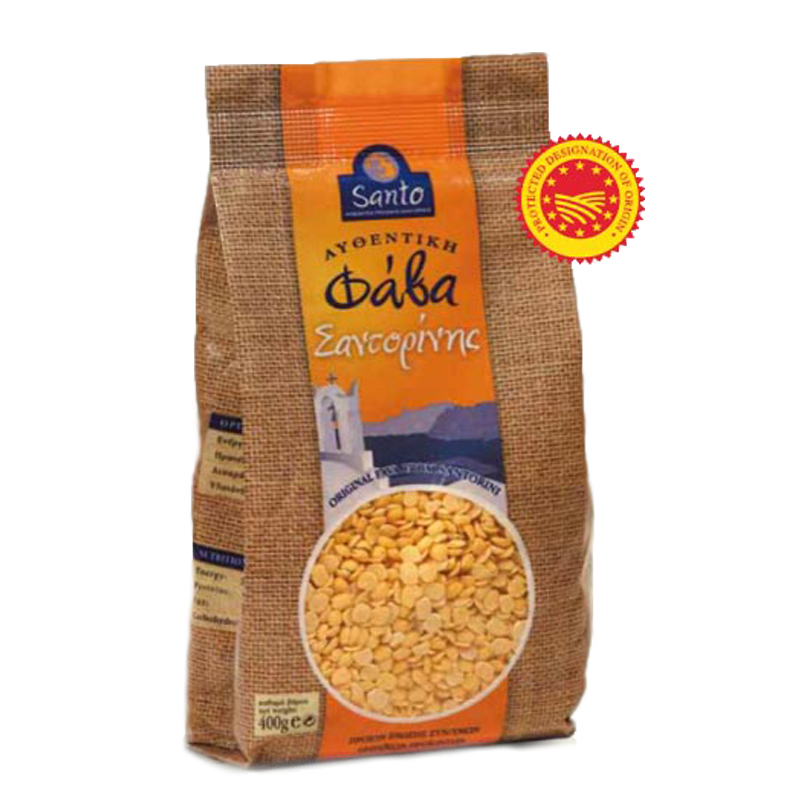 Santorini Fava, has very high nutritional value as it is rich in proteins and carbohydrates. The unique traditional method of production, gives to fava a creamy texture and slightly sweet taste. On the packaging you can see the name of the cultivator as a guarantee of the product's origin and authenticity. 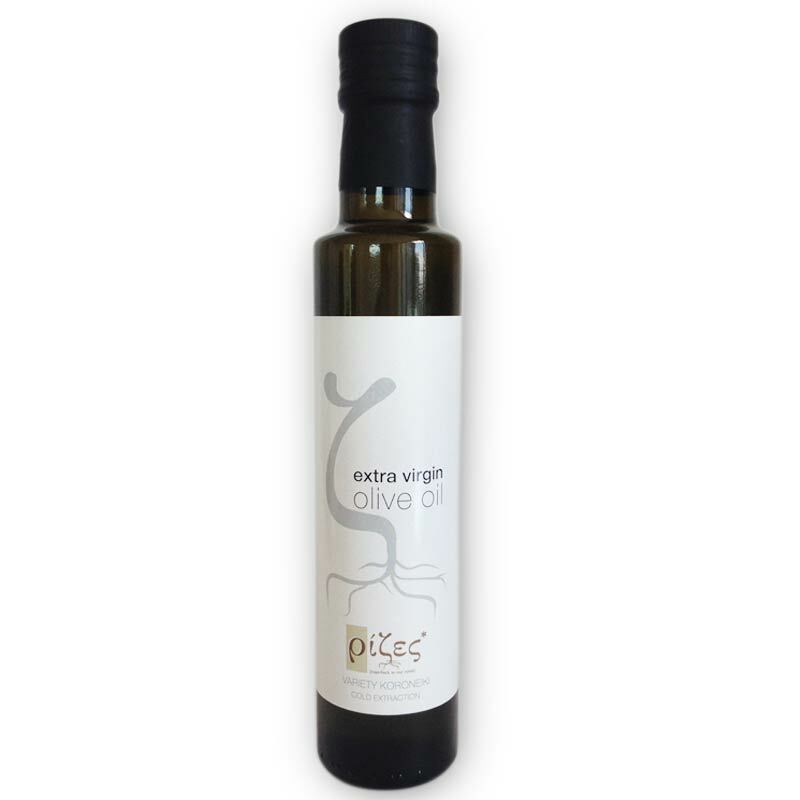 Black Date Olives Organic Agriculture - With Thyme & Vinegar – Packed in vacuum, contains ripe black date olives from Thassos with 4,3% wt salt and is seasoned with organic thyme and organic vinegar. It is a more spicy and tasteful version. Keep in a cool, dark place until best before date and refrigerate after opening. 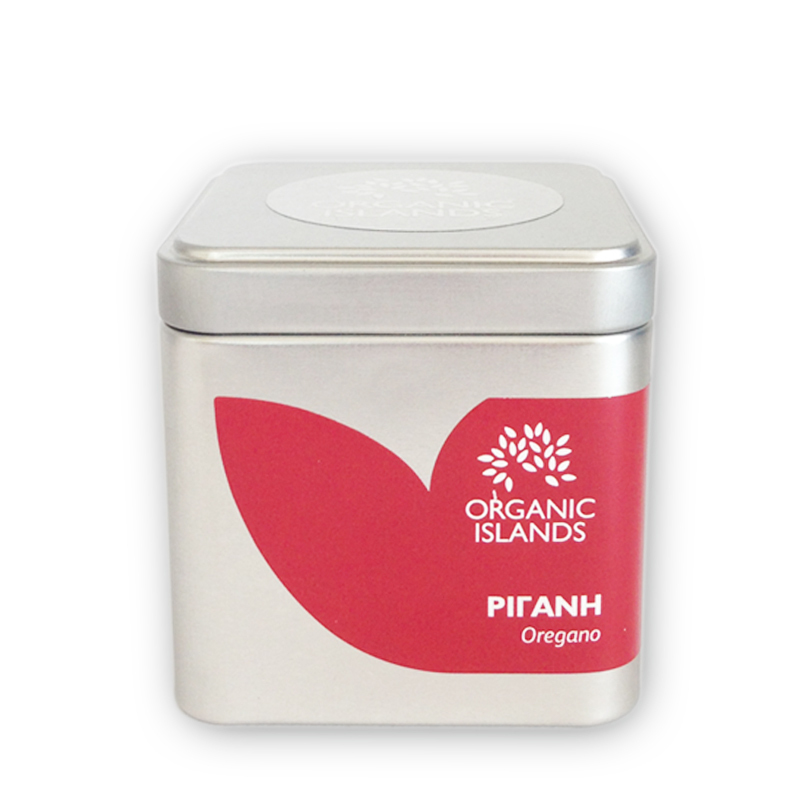 Wild caper is a bush born in the steep slopes of Santorini caldera and the volcanic stone-built walls between the vineyards, the houses and the paths thoughout the island. Each producer monitors every stage of plant growth until harvest (late June till end of August). From the wild caper we have carefully collected the flowers in jars. Use caper in salad or spicy sauces and give yourself an original taste and a natural and healthy choice. 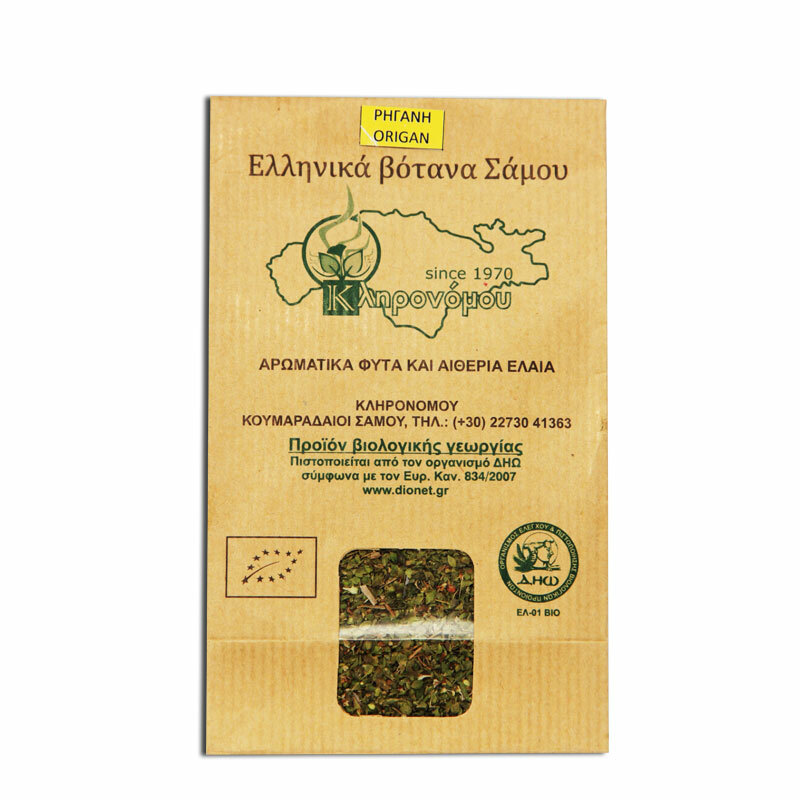 Greek oregano is an herbaceous perennial plant and it is thought to be the best worldwide. In spite of its characteristic perfume and taste it also has medicinal properties. 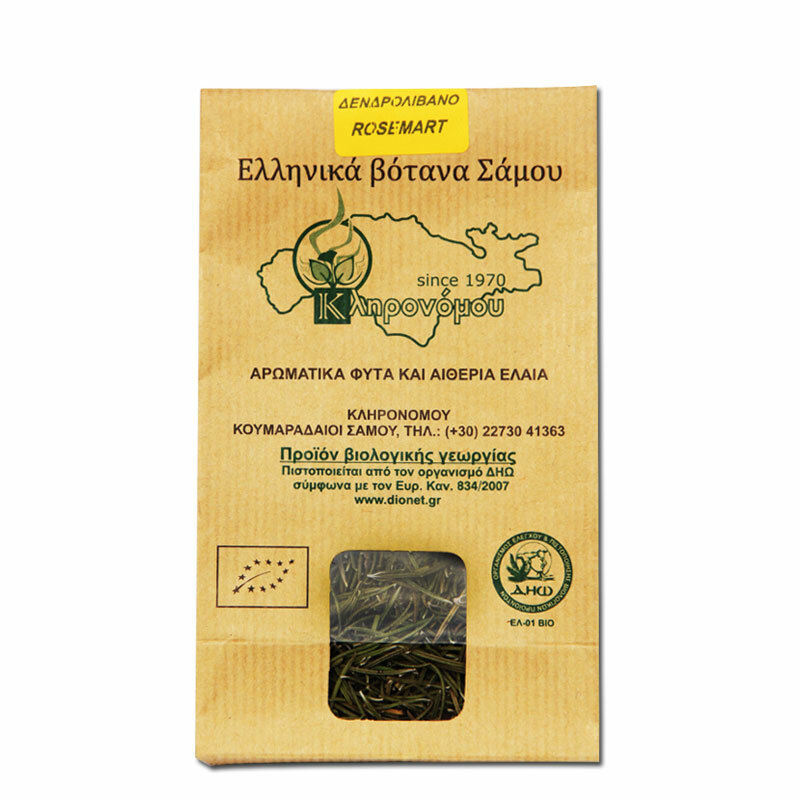 In Greece, oregano is self-sown and it is found in mountainous and rocky areas. Nowadays, it is used as a herb in cooking . It is the basic herb of Mediterranean cuisine and a basic ingredient of Greek cuisine.